Today, as the last day of 2012, it's time to reflect on our past and our future. I've heard over the previous few months of the concern for what type of world we are leaving our children. Perhaps we should be as equally concerned about the examples we are setting for our children concerning integrity, morals, and values. 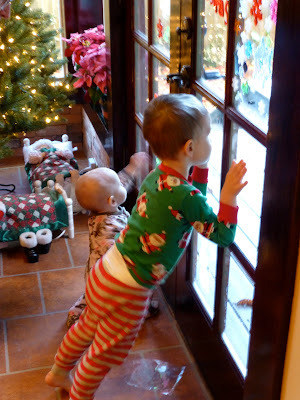 What if we resolute that our footprints are those we would be proud to have our children follow. Footsteps of making a difference in the world, and setting an example of taking care of ourselves, so we can take care of others. What if we set an example to take action if something is unjust. To respect differences, and embrace the future with all the possibility of hope, challenge and excitement, instead of complaining that life isn't fair or how bad we have it. Perhaps we should no longer live in fear. But live with gratitude. Life is all about perspective, and depending upon your view it is beautiful. We just have to look outside ourselves, and live with health and passion. With love and concern. With education and growth. With Joy. Gratitude. Appreciation. 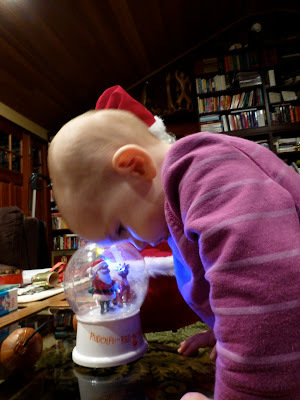 Curiosity. Please welcome a talented, aviation enthusiast, soon to be pilot, and my friend from Brazil, Alex Wood, as my guest blogger. He's written quite a post... the only thing I can say now is Thank You Alex! For everyone else, sit back, buckle up and enjoy the flight. He's created quite the end of the year journey. "Good evening ladies and gentlemen, this is your First Officer speaking... We've reached our cruising altitude of 36.000 feet and we are now heading oceanic, leaving the coast of Paradise. I am going to switch off the seat-belt sign as we are now entering a safe zone of happiness and laughter. This is a non-stop flight to success operated by this beautiful A330-300 commanded by Captain Karlene Petitt. Good weather forecast for this flight, we will fly through the clouds of wisdom and inspiration and we will also be flying through tailwinds that will take us to great opportunities. Our cabin crew will begin the on board services within moments offering a delicious variety of food and beverages and soon you will be able to rest on our comfortable reclined seats. 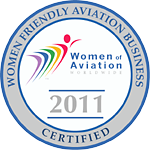 We thank you for choosing Flight To Success Airlines and we wish our passengers a pleasant flight. Thank you." It's been two years already... Almost three actually, that we have been trying to catch up this flight. Flight To Success... 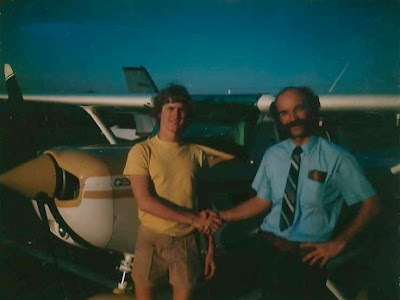 It started smaller than it is today, like some things in life, with a very looking and rich with very professional contents, but now when related to success, leadership and aviation, Google has to mention Karlene's blog. Admitting to myself this is the best aviation blog I have ever visited, not because aviation is it's main subject, but it has it's own wonder side. Most websites has only "airplanes stuff" as it's main subject, it is rare to find blogs like hers, but I've seen a couple already. Flight To Success has a vast gamma of subjects related to the field... I like to think here as the place for the" new ones" to help them create their own flight plan for their lives warning the downdrafts and the reality of the industry, and also the place for the most experienced to help them see what's happening with the industry, to discuss with the technical side of the field. Many of the visitors come here and have the illusion, yes illusion, that nowadays it's still fine to just obtain their commercial and instruments license and afterwards they will have the job of their dreams... Like if it's that easy, but is it still possible? Well, never loose hope and faith on your career, but be more realistic. Having contacts is very important, but in my case, I didn't know that having contacts on the field could be advantageous on your success six months ago! - I mean, that somebody could put you on the cockpit. And a year ago me and Karlene we've became friends! And of course, most of you know already: nothing better than a real friendship rather than "Oh okay, he/she is a Pilot, I will do everything to keep in touch"... Actually that's not a good start at all. 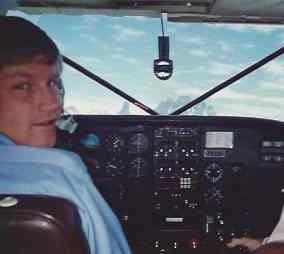 Flight To Success gives you inspiration, situational awareness, opens your eyes, helps you see the industry and the market, helps you find the aviation bug inside you... Generally helps you grow and opens your eyes to become a "Pilot on demand". Also, what I've found really special here, is the possibility to comment, discuss, defend your own statements, debate, explore with your own words on every post! And guess who replies to most comments? An experienced Pilot with a great background and holds what the market needs nowadays, I call this "Pilot on demand". Karlene not just replies with her own words of wisdom and gives her precious words of advice, but she learns with us too. She's also a mother, so sometimes she gives us an advice of a "Mother Pilot". 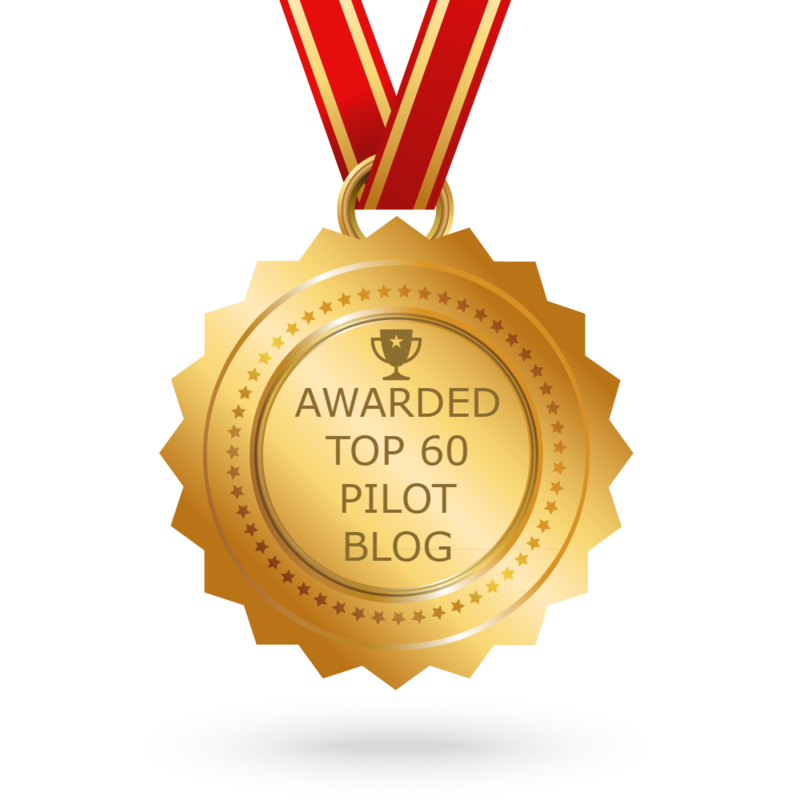 I think this relation between Pilot and "AvBlogger" is fundamental. One of the most precious lessons that I've learned from this blog was to hold a degree at least. Agreeing and having the obvious in front of me, I've wrote an e-mail to Karlene about holding College Degree in Aviation, she liked it and created a related post... Then an idea came up (I was reading Flight For Control for the second time at the time), but before I continue with this statement, I would like to remember of a case when a user said "Oh no... You don't need college degree, just get your license (...)", Karlene gave her own advice, and what advice! After these moments, I came up with an idea: what if I propose to our Pilot something new to spread the word? 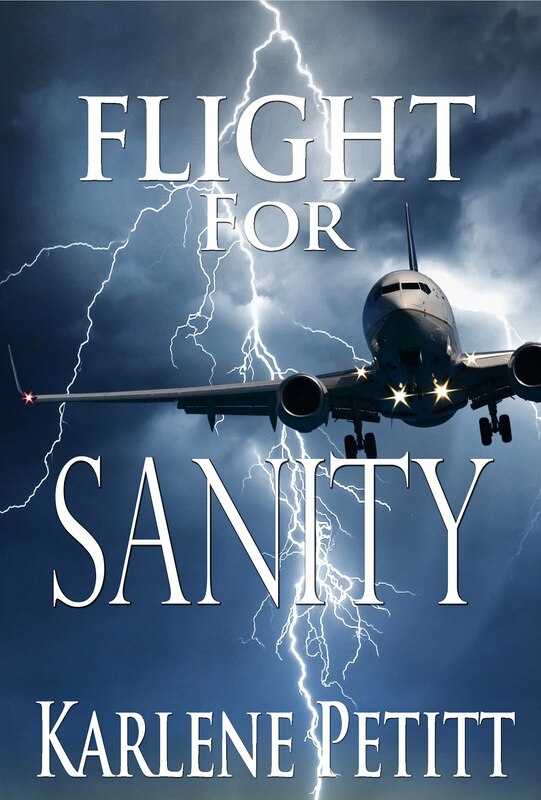 I came up with the Flight To Success Facebook Group with the intention to put many airplanes on the same Charlie Airspace as possible so we could spread the word and help others to obtain situation awareness of themselves and of the industry. The idea was approved and I immediately created the Group and now we have 69 members already! Well, for me it's a good start! Even if many don't think it's a lot of members. Flight To Success Facebook is the place where you can create arguments and show what are your own opinions, and maybe you could change opinions by seeing what others has to say. What did help me to have this idea? The idea of spreading the word? 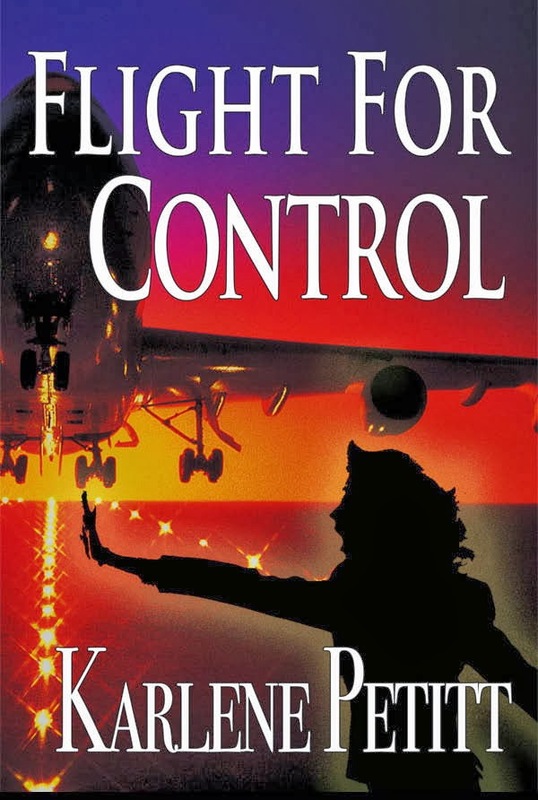 Mainly Flight For Control added with other facts. 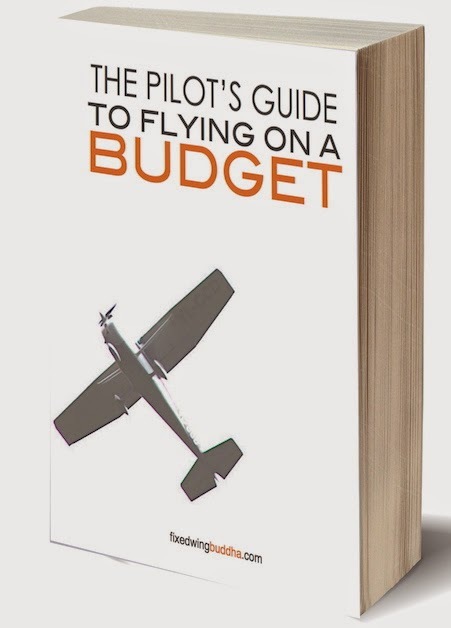 The novel is simply best industry guide around, should every Pilot and Future Pilots have on on hand. Fiction Mirrors Truth. This book is helping me tons... Opened my eyes. Then came the idea of partnership! Some of you can think this is a way to promote ourselves, well, it is! But we are promoting ourselves on the way that we help spread the word and offer Karlene's followers a great service from what Karlene taught us, from what her book taught us, from what Flight To Success itself taught us, added by our own knowledge! The idea of Networking is part of the concept of what we call "New Frontiers" for the website... Which is expected to be released in 2013, it's the codeshare of the three blogs having here our "Headquarters". We have the ambition to make Flight To Success become even bigger and well known throughout the internet also! What a journey huh? What I wrote above is our history and story of what happened within two years. Every new day is a story to tell, a journey to fly, a history to create, a lesson to learn, a challenge to defy. I have finally graduated from High School this month, what a year! Despite the turbulence zones I flew, but is always a lesson to take with us to the future. Also, this year, many of you followers helped me create my own flight-plan that will be followed this next year... I have received many great and precious advice! Wow, thank you so much to you all! I am more than thankful! Karlene, God bless you and your beautiful family and may life keep giving you love, because you deserve! Thank you for everything... You see, words sometimes aren't sufficient, but you know right? hahahaah! 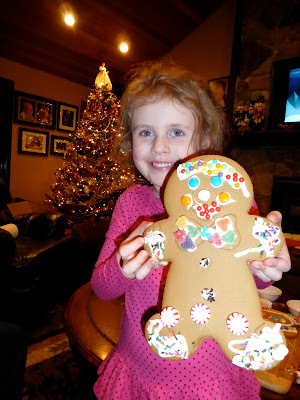 May 2013 be much better than 2012 and the previous years." "Good morning ladies and gentleman, this is your First-Officer speaking and within moments we will be descending to 3.500 feet for our final approach to our connection at 2013 Intl. Airport for New Year celebration and then we will start boarding again. Soon our cabin crew will collect your blanket and headphone, and will give you a hot wet smile towel. 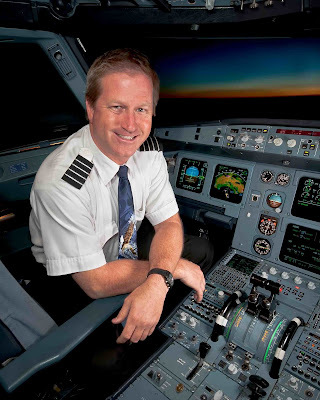 We understand the Airline is a passenger's choice, but we hope to have you on board on this one class A330-300 commanded by Karlene Petitt and on the Flight Deck we have Jeremy Carlisle with us and me (Alex). We all wish you a fantastic new year! 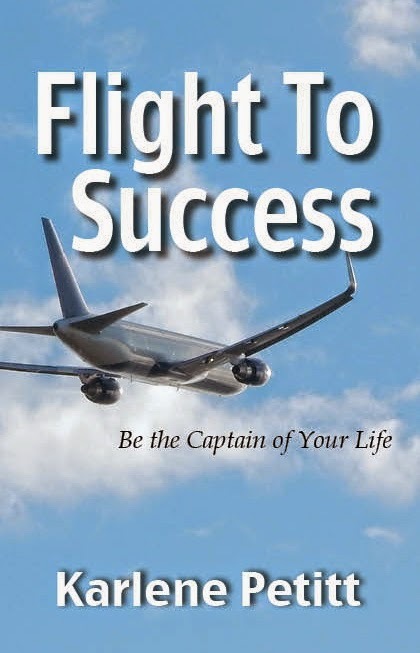 Thank you for flying Flight To Success Airlines." Alex Wood. May all the wonders of the holiday be magical. 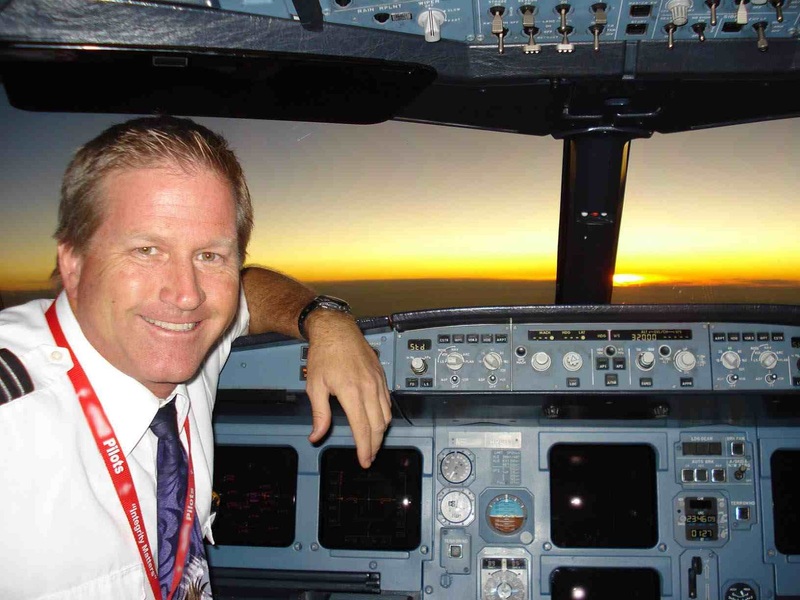 Eric Auxier—better known as Cap’n Aux, is an A320 Captain, author, and as my grandson says, “ a funny guy.” He has found the humor and lightness in life, and believes that there is good in the world and there are many good people doing wonderful things. He's right—because he's one of them. Cap’n Aux graduated from Cochise College in 1983, AZ, with an AS in Pro-Pilot and all his ratings, and then from Arizona State in 1986 with a BS in Aeronautical Engineering. While he tells me that he was “blessed with parents who liked to spend money on their kids' education” he built his flight time the hard way—civilian route, paying for it himself. How fun it is to follow the career path of a professional pilot who chased the dream, and caught it. 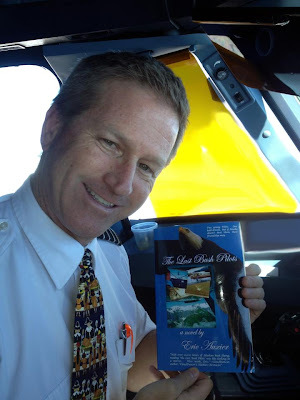 Cap’n Aux not only filled his logbook with hours, but he filled it with memories and experiences more colorful than most. His ‘current’ airline happens to be one of my eight, and we had relatively the same hire date. Despite the fact I am one month older than him, he would have seniority on me because I was locked in the training department without any seniority. But unfortunately our paths never crossed. More than flying, he's an author too! Cap’n Aux is no novice to writing. 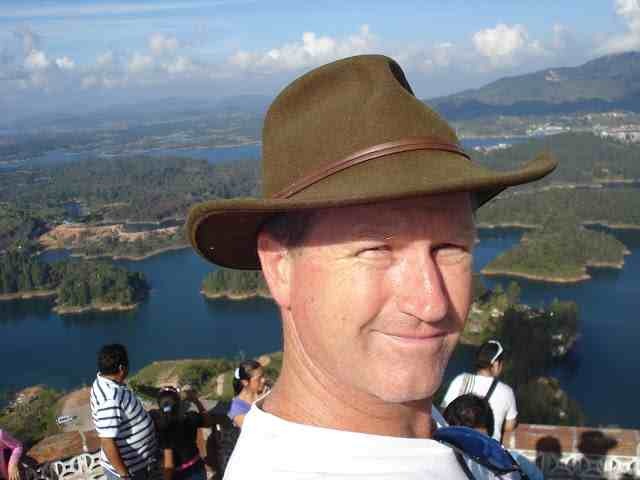 He was a staff writer and columnist for his school newspapers at both Cochise and ASU. He’s sold several articles over the years to publications such as Arizona Highways, Plane & Pilot and AOPA Pilot. 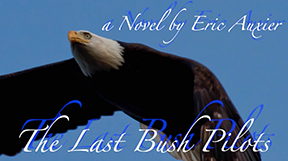 You can imagine my gratitude when I opened the mail to an autographed copy of his novel, The Last Bush Pilots. What a fabulous read. I will be reviewing it soon. But today this is all about the man behind the story. One of the greatest things about inviting an author to be a Friday Flyer is when they write an incredible story, I can call it the post. 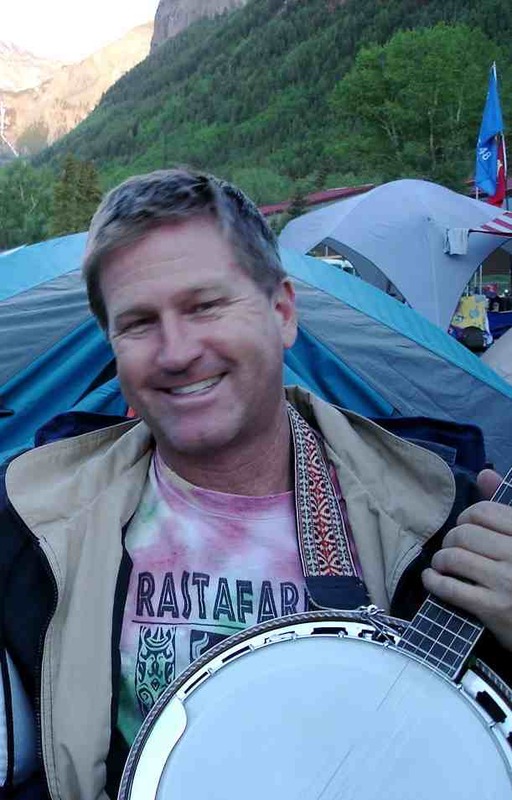 Writing is all about voice, and today you get to hear Cap'n Aux's. “I like to call myself an airline pilot by day, a writer by night, and a kid by choice. I dreamed of flying since before age 5. 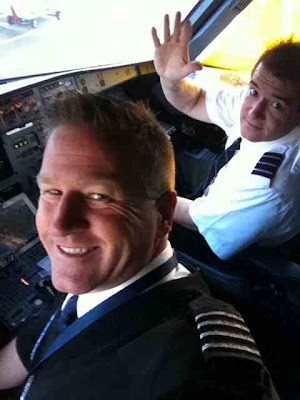 Riding on a Boeing 737 from PHX-LAX to visit cousins each summer was always the highlight of my year. But even before I learned to fly, I loved to write and draw. My buddy Alan and I would constantly doodle pictures of WWII dogfights through class. I wrote my first “novel,” Little Froggie and the Golden Transmitter, at age 6. 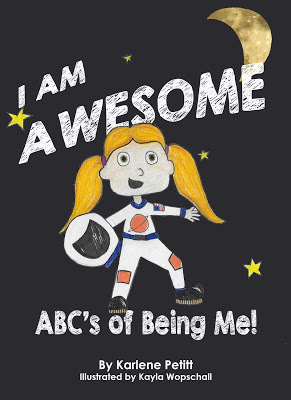 It is now available, well, in my mom’s baby book! At age 14, I read Richard Bach’s, Illusions: Adventures of a Reluctant Messiah. It transformed my life. I can still remember a quote from it: “We are all. Free. To do. Whatever. We want. To do.” I have tried to live by that mantra ever since. Born and raised in Scottsdale, Arizona, I was blessed with the most stable life of anyone I’ve ever known. My parents never moved, never fought, nothing. This stability made for a wonderful childhood, but by the time I turned 18 I was ready for adventure. I kinda went crazy, using my flying dream as an excuse to chase the career all over the country. I’ve lived and flown in Juneau, Alaska, St. Thomas and St. Croix, U.S. Virgin Islands, Denver, Colorado, and Washington, DC, among others. 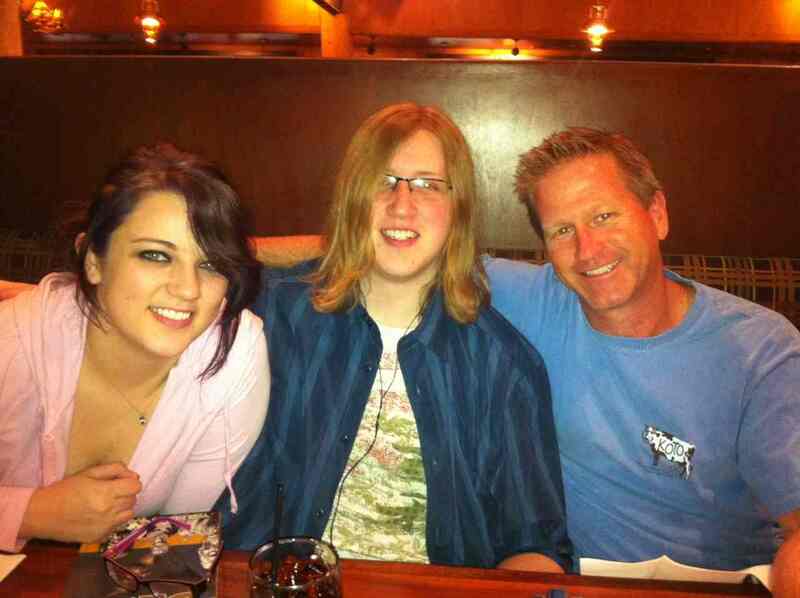 I now live back in Phoenix with my nearly-grown kids, Desi (21) and Tim (17), so I’ve kind of come full circle. I have an adopted daughter, too, Sheraline. She's now 27, married with two girls. So, technically I'm a grandpa! Ten years later, I finished writing, Code Name: Dodger, about a teen orphan searching for his father’s killer, an evil spy who is also searching for him. The spy is a mole in the CIA, so in order to protect him, they give him all this self-defense and spy training. He’s a street kid, so he’s already developed skills at pickpocketing, computer hacking, etc. So the CIA doesn’t realize they’ve created a little monster! 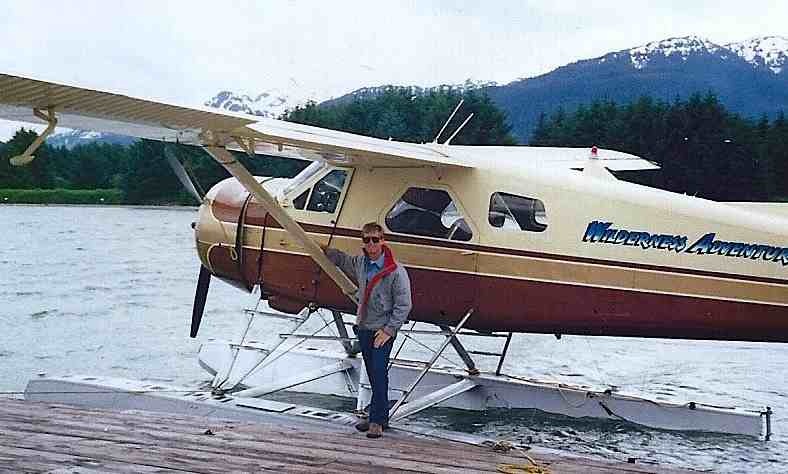 My new novel, The Last Bush Pilots, was inspired by my very real flying adventure as an Alaska bush pilot. 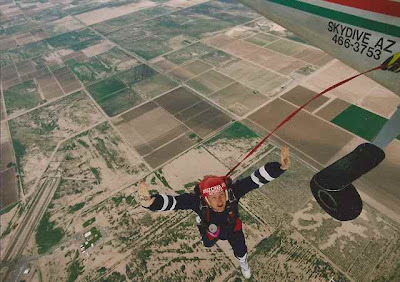 I met so many incredible personalities, heard so many tall tales, learned so much about flying and lived a life so fully on the edge, I just had to write about it! While the book is a fiction tale, many of the characters and subplots are inspired by real events. For example, the pilots band together and hijack and rescue a load of orphaned bear cubs, and exact divine revenge on the poacher that kills their momma. 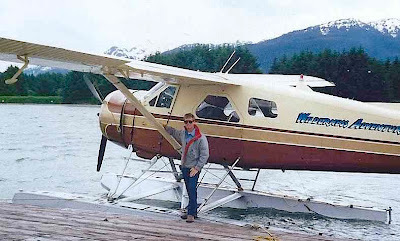 This tale was inspired when I flew—you guessed it—a load of orphaned bear cubs whose mother was killed by a poacher! 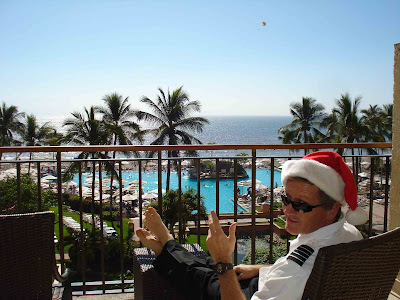 I chronicle much of my flying and travel experiences in my blog, Adventures of Capn' Aux. One of the most important things I try to impart is to keep the magic of the adventure alive, both on the ground and in the air. 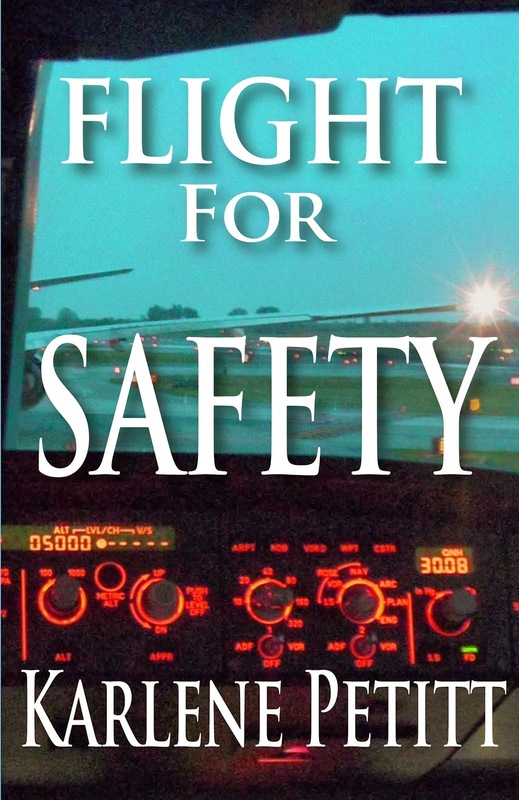 So many pilots tend to burn out and become cynical about this extraordinarily brutal business. But, day by day, we are blessed with slipping the surly bonds of earth, putting out our hands, and touching the face of God! The cockpit of my machine has afforded equally grand sights and adventures. I’ve seen the full moon rise over the Juneau Icefield, and witnessed a 360-degree rainbow in an Alaskan rain shower. I’ve seen a comet blazing across a moonless night amidst the ethereal shimmers of the Aurora Borealis. The Andromeda galaxy, the farthest object visible to the naked eye, is doubly so from the clear, thin air at 39,000 feet. I’ve seen countless meteor showers, gorgeous sunsets and amazing sunrises. Lightning storms are incredibly awe-inspiring when viewed from above. I’ve piloted over 250 'flightseeing' trips over the Grand Canyon, each one different and equally spectacular. In the Virgin Islands I’ve spied eery, slate grey waterspouts—tornadoes on the sea—snaking across the water. On countless Alaskan flights from treetop level, I’ve seen moose, bear, eagles, and endless pods of whales, from humpback to Orca to beluga. I once spotted a giant brown bear a few hundred feet below as he took an angry swat at me. Unfortunately I have scant photographic evidence of these spectacular sights, other than that which is indelibly etched in my mind’s eye. When All 'Round the Plane..."
Happy Holidays! And yes... I can doodle!